The tricky thing about muzzle-loading rifle muskets is that they are so hard to shoot accurately at distance. Although sighted to 800 or 900 yards, Joe Civilian couldn’t just pick up a Springfield or Enfield and hit anything with it. Even hitting much closer targets took training. Two factors went into this training: range estimation and actual live fire at known distances. Range estimation was crucial, because if you didn’t know the distance to your target, you didn’t know where to set your sight – especially on the Enfield, which had a more detailed and complicated sight than the simpler Springfield leaf sight. 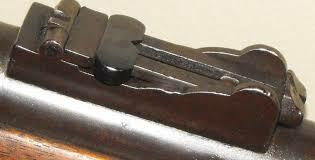 The Enfield had 100 yard gradients and a sliding crosspiece, while the 1861 Springfield merely had leaves that could be raised or lowered for close, medium, and long range. Why was range so critical? If the shooter estimated a target at 500 yards, but it was actually 400 yards distant, a wrong setting could actually lob the minie ball completely over the heads of the approaching enemy battle line. This problem only got worse the greater the range, since the actual beaten zone (that area within the lethal strike zone of the incoming round) shrank over distance. 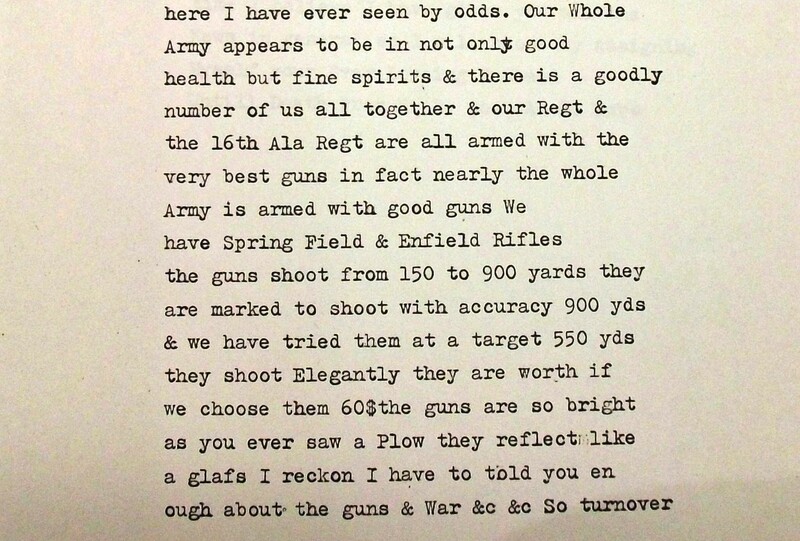 So I take great interest in reading an account from a Civil War Soldier actually discussing range training, even in passing. 550 yards is one of the longer distances I have seen referenced in such letters. The 33rd Alabama served in S.A.M. Wood’s brigade of Cleburne’s Division, and there is some corroborating evidence of range training in other units of the Army of Tennessee at this time, but usually more in the context of creating the Whitworth Sharpshooter detachments.